Boat Description Tundra 21 DC. 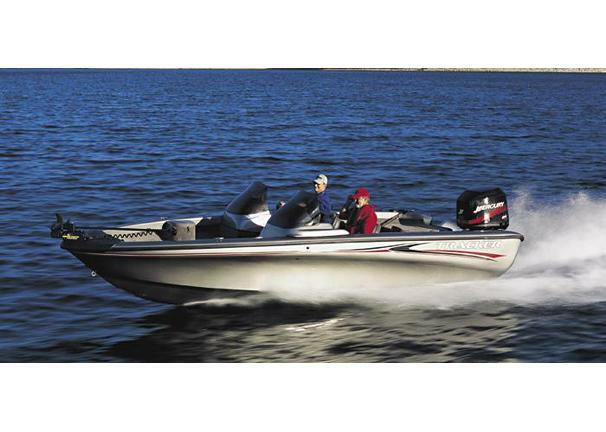 Featuring dual consoles for comfort, convenience and appearanceour largest high-performance model is also the most technologically advanced Deep V aluminum fishing boat available to serious big water enthusiasts. Its wide, roomy layout is for the serious, technology-savvy angler who appreciates style, yet values the practical. Exclusive aerospace technology forms its Deep V aluminum hull, delivering an incomparable ride with fiberglass-like good looks and performance. On the practical side, aluminum is more durable and easier to repair. Package includes a Mercury XL Pro Series outboard, Lowrance X47 fish finder, Minn Kota 24V foot-controlled trolling motor, 29-gal aft livewell, bow and aft baitwells plus custom trailer with EZ lube hubs, GalvaShield protection and swing-away tongue. Dry Weight 1890 lb approx.